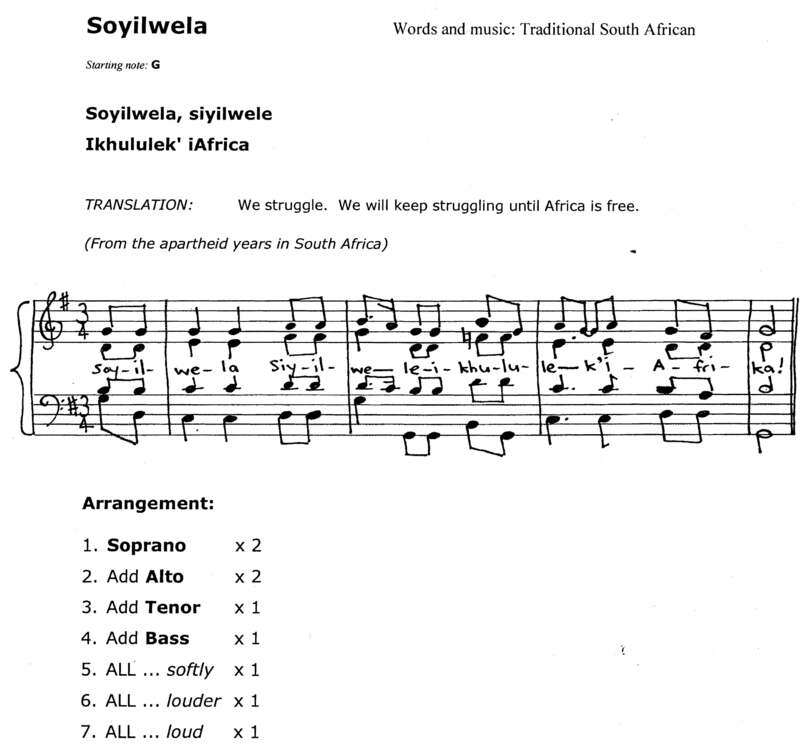 A traditional South African protest song. Scroll down for practise tracks. I’ve transposed this song into the key of A, a little higher than the “original”, in G, further down the page. Listen live, or right-click on the track title to download. All practice tracks play the song twice. 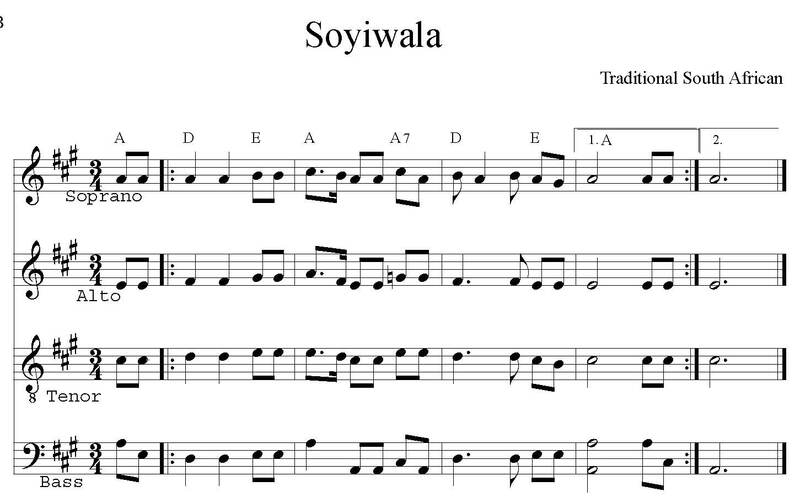 See original sheet music, (or listen to Aqualuna), for a suggested performance arrangement. Good practice is to practise your part on it’s own, and then sing your part along with the all parts track. Below are practice tracks in the key of G, and the “original” music. Download the sheet music, (pdf format) here!